Divine Serendipity Day Spa Staff. 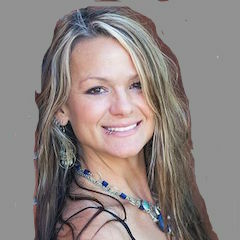 Sheila began her career in Melbourne, Florida and re-located from Las Vegas bringing along with her to "Divine Serendipity" a few luxurious spa treatment techniques found in some of the world famous Las Vegas spa resorts. She is a licensed Master Esthetician and Manicurist/Pedicurist. She specializes in Advanced Skin Care, helping Men and Women to solve their frustration with acne, dry, sensitive and hyper pigmentation skin conditions and has made it her career passion to educate customers that waxing hair removal does not have to hurt if the technician uses the proper technique and wax for each skin type. 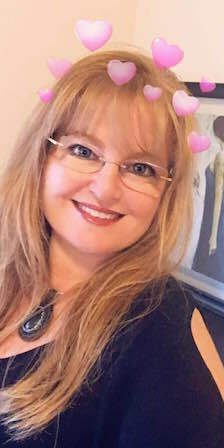 Sheila's background includes ninteen years of experience in the beauty profession not only as a professional service provider but as a spa consultant helping Salons and Spas improve their customer relations and marketing skills. She served three years as a continuing education provider with the Florida Boards of Cosmetology and Florida Boards of Massage. Sheila also was an Esthetics Licensing instructor for one year at CBI Skin and Nail Institute in Melbourne, Florida. Sheila continues to update her education with on-going courses through out the year to keep her up to date with advance skin care and nail technologies. She has studied advanced skin and nail modalities with Dermalogica, Aveda, Eva's Esthetics, Intagallio, Decleor Paris, Yonka, Phytomer, American Laser Centers, SeneGence, BeautiControl, OPI, LPG Technologies, and CREATIVE NAIL DESIGNS. In 2014 Sheila completed her Master Medical Esthetican licensure and in February of 2017 she started and continues working for Eastern Washington Dermatology offering medical cosmetic procedures such as Microneedling and Laser hair removal. In 2015 she upgraded her nail services and recived her Shellac Pro and Master painters certificates from CND,Inc and is happy to announce Divine Serendipity Day Spa is a Shallac Certified Spa. Monica is a Walla Walla Valley Native. With Several years of Administrative experience, she will gladly answer any questions you have regarding the services we offer. She is here to book your next massage, facial, manicure, pedicure or other services. She will greet you with a warm smile and make sure you are taken care of. Gina joined the Divine Serendipity family in August 2018. More info to come. Thank you for your patience. 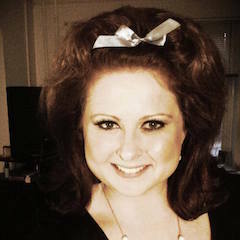 Maggie graduated from Walla Walla Community College in 2005 with a degree in Cosmetology. She was worked as a hair stylist for 9 years. The thing she enjoys most about this job is the opportunity to emphasize beauty and nurture healing in her clients. I look forward to serving both men and women with their hair care needs at Divine Serendipity Day Spa. Julie graduated from New Horizon's School of Massage in 2009. She working toward her masters in Reik, a Japanese technique for stress reduction and relaxation that also promotes healing. She is passionate about her kids, art, animals, nature and of course consistently growing to further her career path in healing arts. She currently provide Deep Tissue, Swedish, Prenatal and Hot Stone Massages. Aiyana graduated from the Tri-city School of Massage in April 2017. Her immediate goal is to help people by encouraging wellness with a thoughtful and knowledgeable approach and strives to always be learning more about new skills and treatments to not only further her career but also help better meet the clients goals. Susan graduated from Rogue Valley Community College. She has been a Massage Therapist for six years. Two of those years was in the Ashland, OR Area, and four In Walla Walla. She retains a license in both OR and WA as well as being Nationally Certified. She uses an eclectic style of massage incorporating various techniques and level of pressure to suit almost any need. Prenatal Massage and Thai Active Stretch Massage Available. Gabi has currently moved to Montana, but visits Walla Walla frequently, when she is in town she is willing and open to providing us with her services. If you would like to book an appointment with Gabi, feel free to give us a call and ask about what dates she will be in town. Gabi offers Swedish, Deep tissue, Hot stone and Prenatal Massage Services. Rich Fesler graduated at the top of his class from Tri Cities School of Massage and has been a Licensed Massage Practitioner since May 2009. Since graduating, his Continuing Education Credits include Certifications in Neuro-Humoral Massage, Classic Russian Massage, Sports Massage, and Manual Therapy/Table Thai Massage.